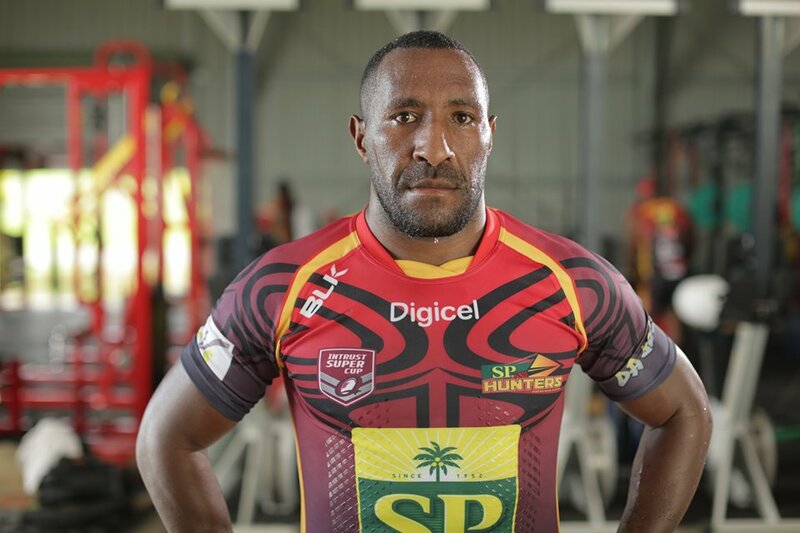 TWO Papua New Guinea SP Hunters players have been given “train and trial” opportunities with National Rugby League clubs, while the third has been contracted to another Intrust Super Cup club. Kato Ottio joined the Canberra Raiders while Warren Glare is bound for the Cronulla Sharks on “train and trial” engagements. Boom forward Willie Minoga, who served as a valuable impact player off the bench, has been signed up by 2015 grand finalists the Townsville Blackhawks. PNGRFL chairman Sandis Tsaka released the details yesterday, saying the news was a great boost for the Hunters as they prepare for their third season in the Queensland competition. But Tsaka reminded the players that they would have to lift their work-rate as there were other players in the clubs they were linked with who were in intense competition to impress for long-term contracts. “We are very proud of what the men have achieved which is a big plus for the programmes we have in place such as the Hunters but it is just the part of the step and more hard work is in store for them as they push towards getting full-time contracts,” Tsaka said. Ottio and Glare’s stints follow Wartovo Paura Jr and Thompson Teteh’s six-week attachment with South Sydney last year. The duo returned much better players and were instrumental in the Hunters impressive run to finish second on the Q-Cup ladder and into the finals in only their second season. The Hunters’ 2015 season received praise from PNGRFL chief executive officer Bob Cutmore, who said it was a wonderful effort by coach Michael Marum considering the many challenges the Hunters had to overcome. Cutmore, who took up his post last month, said the Hunters faced challenges on and off the field of improving on their debut season but responded in the best way by making the top two and narrowly missing out on the minor premiership. Cutmore said as he announced that preparations for the 2016 were being finalised with the squad to assemble on Tuesday for pre-season training. He said coach Michael Marum and his staff had a done wonderful job so not much would change except for some slight alterations to be announced as soon as the squad assembled in Port Moresby next week. Cutmore said the Hunters were created to give the best local talent a chance to play a higher standard of football and also provide them with a pathway to the elite level and get scouted by overseas clubs. He said players being picked up by other ISC clubs and the NRL was a bonus for the programme as it would open up spots for other players coming through the ranks from the Digicel Cup. Hunters 2016 train-on squad: Adex Wera, Adam Korave, Noel Zeming, Edward Goma, Brandy Peter, David Lapua, Stargroth Amean, Bland Abavu, Nixon Borana, Thompson Teteh, Enoch Maki, Wartovo Puara Jr, Henry Wan, Esau Siune, Ase Boas, Ate Bina Wabo, Timothy Lomai; New inclusions: Konnie Bernard, Justin Olam, BJ Wanamis, Rex Yallon, Sailas Gahuna, Ismael Waine, John Ragi, Philemon Kimisive, Tuvi Lepan, Bernard Lama, Watson Boas, Ishamel Balkawa, Anderson Benford, Gonzella Urakusie, Mafu Kalas, Benjamin Hetra, Sam Maniat, Leon Lati, Enoch Sine.